Home » Competitions » Win the Ultimate Luxury Pregnancy Box! Win the Ultimate Luxury Pregnancy Box! Bump to Box offer Luxury subscription boxes for your bump days & beyond. Before Bump to Box officially launch we have teamed up with them for an exclusive giveaway of 5 curated luxury boxes for you & your bump! 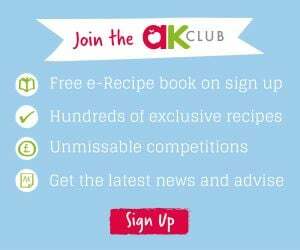 Annabel Karmel – ‘Eating for Two Cookbook’ with over 90 simple, fabulous recipes, you can be confident that you are eating the best possible diet for you and your developing child. Botanico Vida – A beautifully absorbed Omega skincare oil, 100% natural, and clinically proven, to give your bump the stretchiness it needs to cope with pregnancy. So nourishing and kind you can also use on your babies and children. Bare Biology – These Omega 3 supplements are perfect during pregnancy and breastfeeding. They are ideal for baby’s brain, eye and nervous system development and mum’s mental health – and they’re easy to swallow and never repeat on you! To enter this competition please visit our Facebook page. Competition closes on Friday 15th December at midnight. The five winners will be contacted by Monday 18th December by 5:00pm.